I’d like to make a habit of reading a book every other week in 2014. 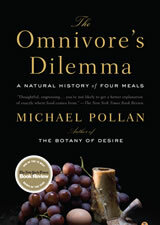 My first book is The Omnivore’s Dilemma: A Natural History of Four Meals by Michael Pollan. This 2006 NYT bestseller has already been well-discussed, but I saw it at my library’s donated book sale and wanted to read it for myself. The growth of the American food industry will always bump up against this troublesome biological fact: Try as we might, each of us can only eat about fifteen hundred pounds of food a year. Unlike many other products – CDs, say, or shoes – there’s a natural limit to how much food we each can consume without exploding. What this means for the food industry is that its natural rate of growth is somewhere around 1 percent per year – 1 percent being the annual growth rate of American population. The problem is that Wall Street won’t tolerate such an anemic rate of growth. Convince people to spend more for the same amount of food. This is behind why everything is processed to the point of ultimate convenience with sleek packaging. Any cooking beyond using the microwave has been removed. Everything is in single-serving packages. Every new diet comes with its own line of ready-to-eat stuff in a box. Surprise, everything also gets more expensive! I just noticed that gluten-free pasta costs roughly 3 times as much as traditional pasta. Even terms like “organic” and “free-range” are twisted by marketing and may not mean what you think. Convince people to eat more food. What we consider an acceptable portion size has increased over the years. From 1982 to 2002, the average pizza slice grew 70 percent in calories. Even the surface area of the average dinner plate expanded by 36 percent between 1960 and 2007 (source). Think of the “Upgrade” or “Combo” feature of many fast food menus. Why just order a sandwich and drink water, when for a little more you can get fries and a soda? Once you order the combo, why not “upgrade” to even larger fries and larger soda for just 50 cents? This is why we are surrounded by food branding and food marketing. To fight back, we should buy food as close to their whole “raw material” state as possible in order to avoid the middleman (processing). Even though it does take more time, this makes the food we eat both healthier and cheaper overall. Being from Europe I laugh at how much common sense is sold in books in the States. Fresh food cooked at home has been the source of healthy food and healthy eating habits. Not to mention cooking with and for the family. The food there is not cheaper but I believe the ecosystem is better balanced and more sustainable between the producers and consumers. Ahhh, supply and demand, how I love you. Yes, it sure is tricky to work with a rather inelastic demand curve. Of note – it is easier to get the very bottom of the market to spend more, if you can improve their economic situation. People who are poor, or in aggressive debt paydown mode, tend to have very restricted food expenditures. Omnivore’s Dilemma is the book that started my interest in sustainability and food systems. I loved the section about Joel Salatin and Polyface farm! I actually met Joel in person and he is just as much full of life as he is described in the book. My favorite description of his farm was that of his pigs “They have a great life and one bad day”. Enjoy! Omnivore’s Dilemma is a great book. And I agree that the part with Joel Salatin is especially thought-provoking and inspiring. It seems that General Mills and McDonalds have a third obvious source of growth – gaining market share from rival food producers. I’m sure this would please Wall Street and avoid the negative connotation of “spend more for the same” and “entice them to actually eat more.” Did the author ignore this possibility? I love Michael Pollan’s “Botany of Desire” documentary based on his book, and now I’m definitely interested in picking it up for a read as well as the Omnivore’s Dilemma. Throughout my 20s I have undergone a transformation beginning at totally prepared, restaurant or ready-to-eat storebought foods to learning + loving how to make great food from ‘scratch’ (what our grandparents might just call ‘food.’) Now I see my younger sibling, younger friends practically hemorrhaging money because they are not cooking/preparing from themselves. Not only have we seen the health benefits from cooking for ourselves, but we have DEFINITELY seen the financial! I have a suggestion for your book reading list: The Undercover Economist by Tim Harford. 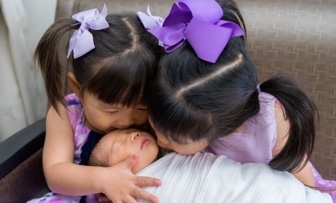 He has all kinds of cool stories of how things are priced in counterintuitive ways. Like how there is 2 models of printers, that are identical on the inside, but the cheaper one has a little thingy inside to disable certain features. Or how different coffee options are priced to target both spendthrifts and bargain hunters, irrespective of the price of the underlying ingredients. It’s has a great audiobook if I remember correctly. Actually, this applies to any mature market, not just food. For example, it is not like there is room for many more cars in the US economy. The market is saturated, the only way to grow it to sell fancier cars or to take market share from the competitors.